The Great Red Horse: A World Champion tells the story of the growth and success of the famous Morgan horse, UC Ringmaster–his training, his new friends, his wins and his championship titles. We first met Ringmaster in The Great Red Horse: A Colt is Born, and in this second installment of Ringmaster’s story, we discover why he came to be known as The Great Red Horse. UC Ringmaster became a two-time World Champion, a dazzling accomplishment that made him the University of Connecticut’s most famous son. 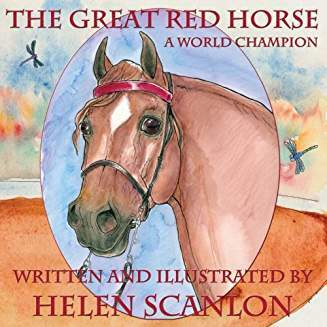 The Great Red Horse: A World Champion is the second of three fully-illustrated children’s books chronicling the life of this amazing horse.